Pollination, cross pollination, self fertile, or partial, what does all this mean? A self fertile or self pollinating tree means that it is capable of setting fruit on its own, it does not require a companion plant to pollinate it and if planted in isolation it will still produce a bumper crop of fruit such as with citrus fruits. This means that the tree will set some fruit if it is planted on its own but it will produce a much better crop if it has a pollinator planted with it. Plums are a good example of this for some varieties such as the Gulf Gold, Yarrahapinni and Iluka blood plum are partially self fertile, all these selections will set on their own but they do produce a better crop if they are cross pollinated. 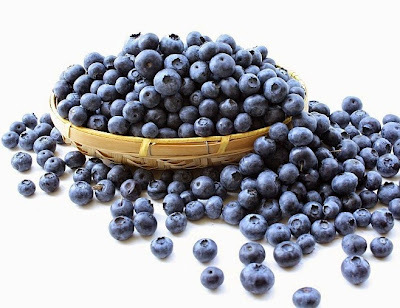 In the case of the Gulf Gold it is also recommended that you thin your fruit as it can produce such an enormous crop that the weight of the fruit can break the branches. This is similar to partially self fertile. These fruits will set on their own but they will also benefit from having a pollinator with them as it will result in more fruit. Southern Highbush blueberries are a good example of this, blueberries such as the misty, gulfcoast, biloxi, legacy and blueberry burst will set well on their own but if you are wanting to grow more than one bush it is a good idea to mix up the varieties and they will also cross pollinate with each other. Cross pollination is where two different varieties are grown for fruit set and the pollen from one is transferred to the other and vise versa, this transfer of genetically different pollen is essential in order for the trees to set fruit. Apples are a very good example of trees that require cross pollination. Choose two compatible pollinator for a bumper crop. It is a good idea to have your trees clearly labelled so you are certain which one is which just in case something happens to one of your trees and for any reason you need to replace the pollinator. You will need to know which tree is planted where. Some plants are dioecious meaning that they produce either male or female reproductive structures on separate trees. 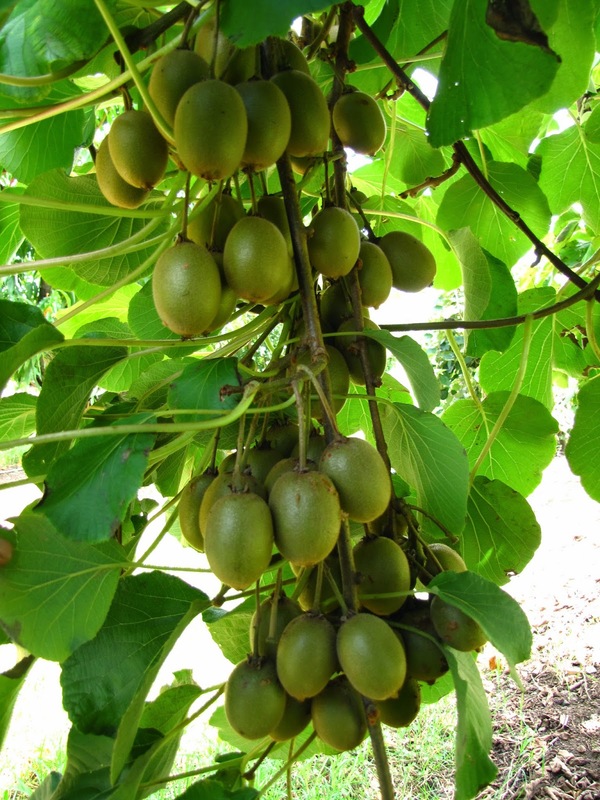 Kiwi fruits are a good example of this and in order to get fruit your will need at least one male kiwi vine to pollinate a group of up to seven female vines. 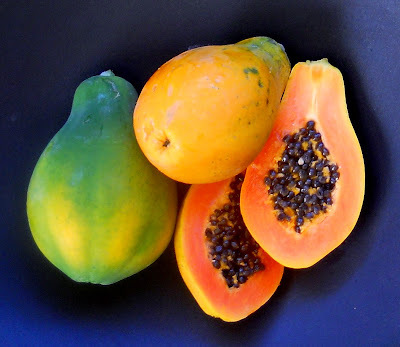 Pawpaws or papaya are another good example of fruit trees that in many cases produce separate male and female trees, but just to complicate matters there are also pawpaws trees that are termed bisexual plants, these are trees that produce flowers with both male and female parts making them self fertile or sefl pollinating so you will only need the one tree to get fruit. The Southern Red and Sunrise Solos are examples of bixexul pawpaws.